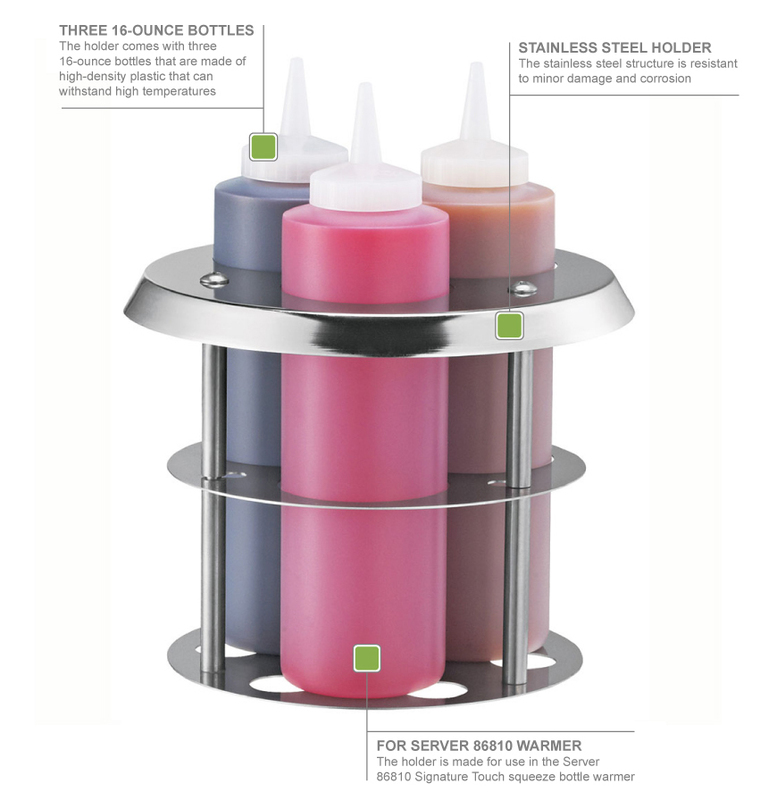 The Server 86819 topping bottle drop-in holder fits into the Server 86810 Signature Touch™ bottle warmer, which is designed to heat syrups and sauces for topping and platescaping. The bottle holder is made of stainless steel, resists corrosion and minor damage. The holder comes with three 16-ounce bottles, which have 1⁄4-inch openings for dispensing product. 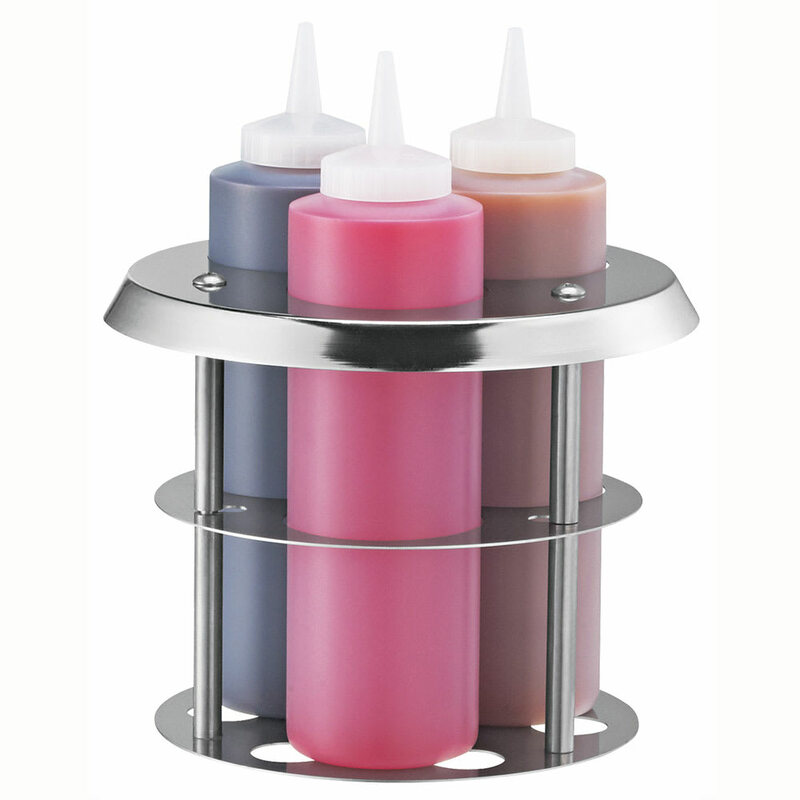 The Server 86819 additional topping drop-in bottle holder’s bottles are constructed of high-density plastic that can withstand high temperatures. 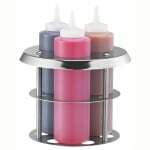 "we own a ice cream shop ---so this is handy to hold three different flavors of topping for us.works great''''''''''"